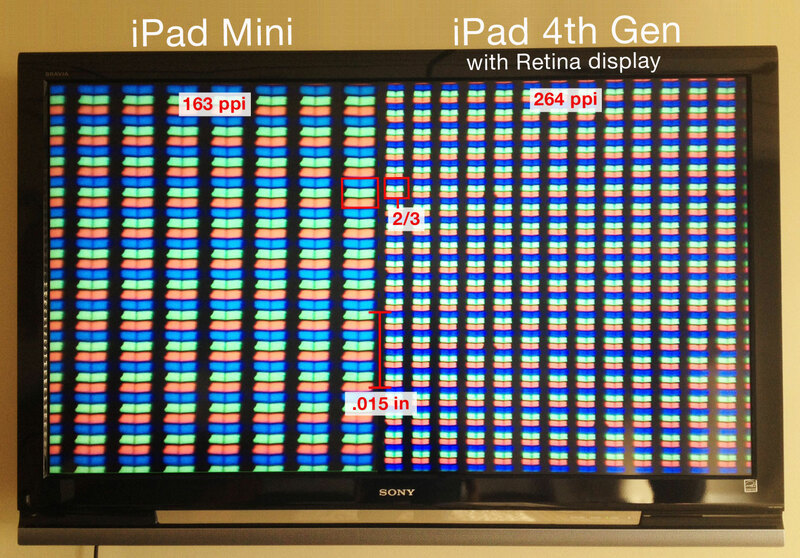 The iPad mini may have a display that’s being singled out in most reviews as being below Apple’s recent standards, but a look under the microscope by Repair Labs affirms what I’ve been noticing in person: while the mini definitely doesn’t offer the same kind of quality as an iPad with Retina Display (3rd or 4th gen), its screen is a big step up from the 2nd-generation iPad. 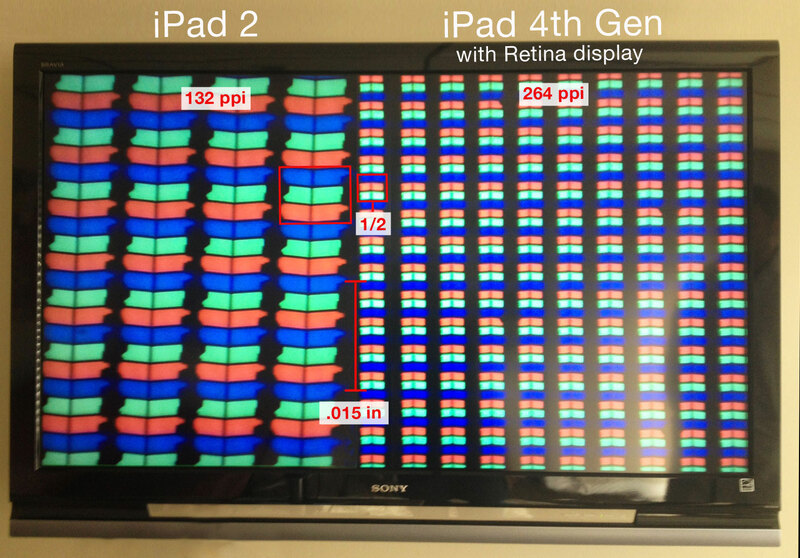 In fact, the iPad mini’s individual pixels are only two-thirds the size of those on the 4th-generation iPad, where the iPad 2’s pixels are approximately half the size of those in the latest model. So what’s the upshot for users? Repair Labs says that the pixels of the 4th-gen iPad are 16 percent larger relative to the iPad mini than the iPad 2, making the difference between the two screens less noticeable, and in fact, “to the naked eye, it’s negligible,” the gadget repair site says. While I can personally attest to the fact that it takes some adjusting to go back to a non-Retina mini from a Retina iPad or even a Retina MacBook Pro, I definitely agree that it’s a lot better than jumping all the way back to an iPad 2. And over time, going between the mini and the latest full-sized iPad only gets easier. Even if you don’t personally own any of these devices, this geeky approach to discerning the differences between Apple’s tablet displays at Repair Labs is worth a look.